A magic show in which the celebrated becomes a magician and he will be helped by his invited friends. 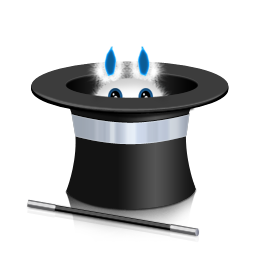 Even when you believe that you know everything, the magician has something surprising for you. 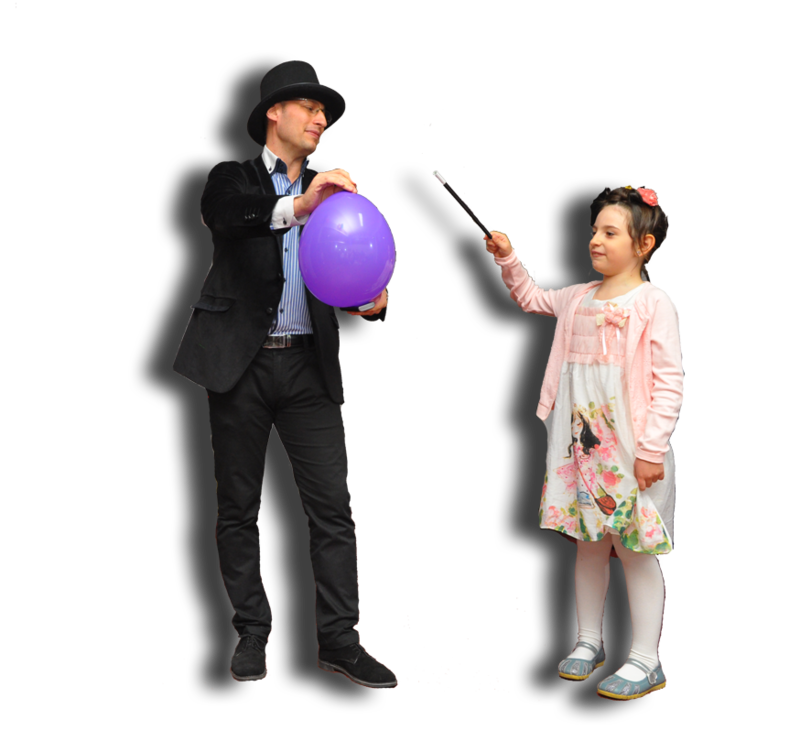 An amazing magic show for children and adults on various occasions: Baptism, Wedding, Private parties, anniversaries of adults, etc. 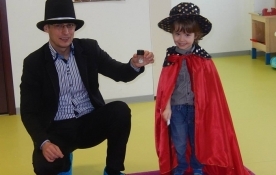 Do you have a child that is passionated about magic? 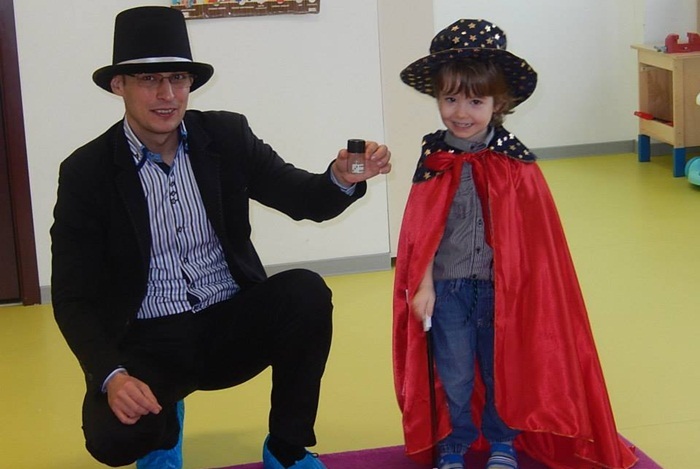 Now he can be a magician, too! 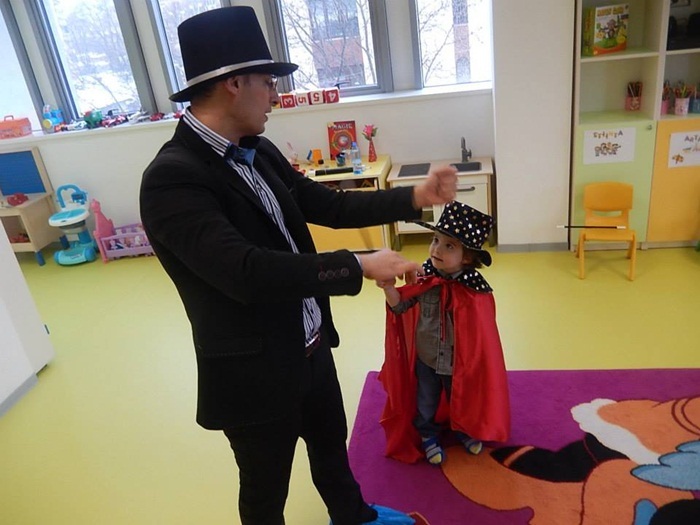 He will learn many tricks together with Valentino Magician. 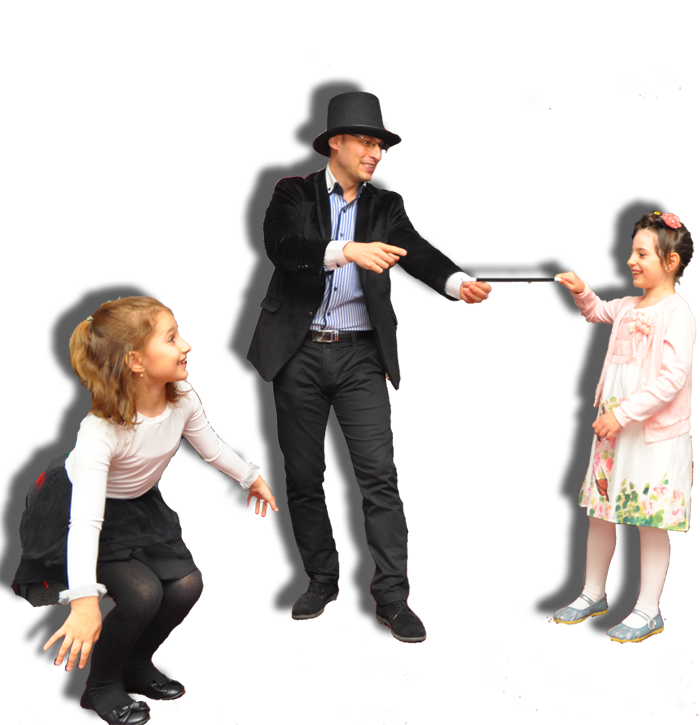 Valentino Magician brings to the children’s party an illusionism show that contains: interactivity, comedy and joy, mistery and fantasy. 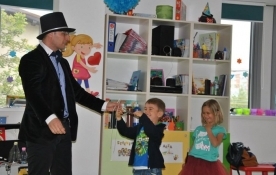 A magic show with a magician for children is comic and interactive with the direct participation of the children and for the parties for teenagers, adults and family. 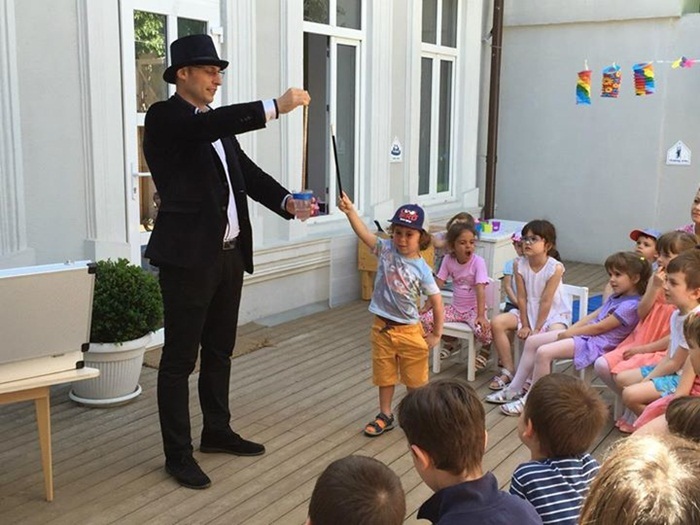 A magician( illusionist) at the party can stimulate the children’s imagination and help them to create their own tricks. 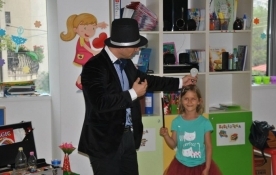 The little ones are the most attracted to magic. Everyone wants to make at least one illusionism trick in which a person or an object can appear or disappear. The little ones can invent anytime a magic. 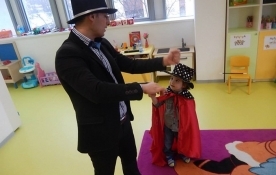 Those will be so fascinated by Valentino Magician and they will not forget the tricks, they will want to make by themselves and will remember with pleasure of that party where they have participated together with the magician. 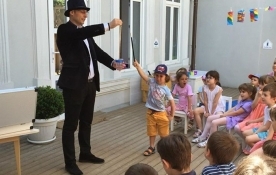 A magician for children– illusionist is the best solution when you think to bring an animator to the party for children. 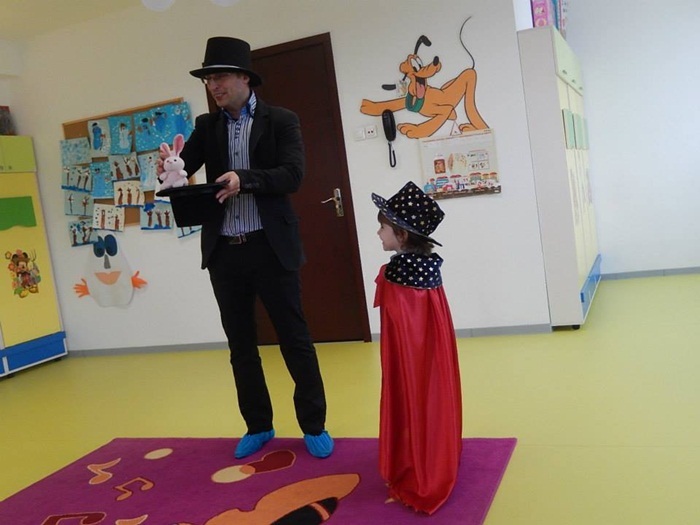 All the tricks will be made by Valentino Magician together with the children. 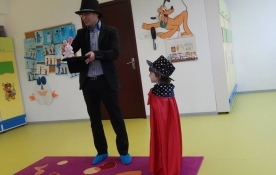 These tricks of illusionism will captivate the adults too. 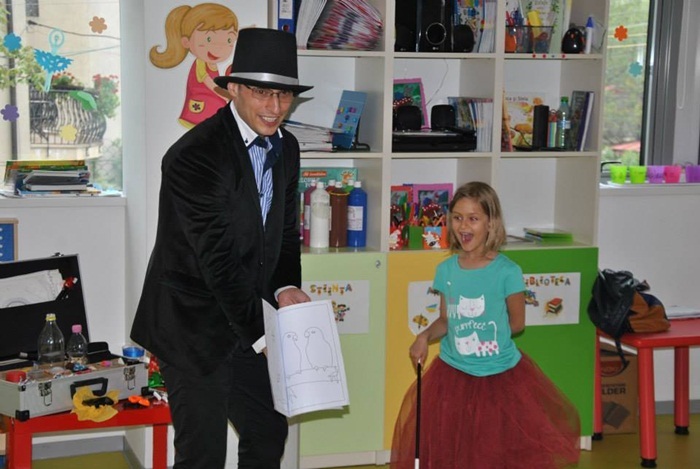 Valentino Magician as an animator for a children party will create a magic day which everybody will remember with pleasure. 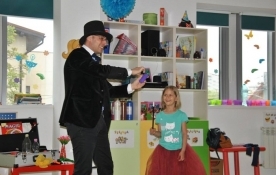 If you have a magician for a children party you will not need another animators.